North Carolina's state tree is the Long Leaf Pine. 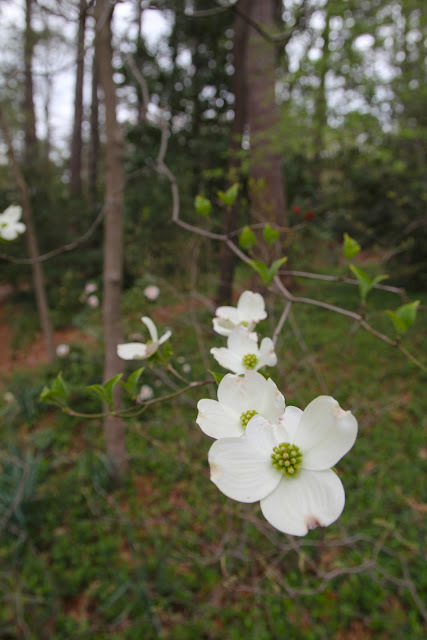 But, her state flower is the flowering Dogwood. It is so beautiful and delicate, thought the blossoms are quite big. From pale green, to cream-colored, to white or even pink, these blooms are booming right now, everywhere! They grow wild in the forests but have tamed and captured our hearts. 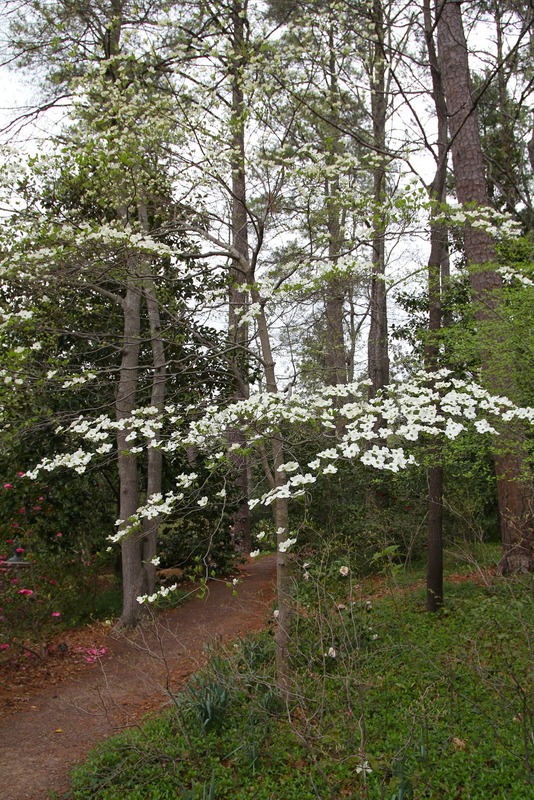 Lovely Dogwood.